LEGAZPI CITY â€“ STI Education Services Group, Inc. (STI ESG) marked the construction of STI Academic Center Legazpi on April 26, 2018 in a groundbreaking ceremony. The academic center has an earmarked budget of approximately PhP391M to be invested in top-of-the-line facilities and equipment. Located on a 4,149 square-meter property at Rizal St., Cabangan East, Legazpi City, the six-storey school building will house air-conditioned classrooms with flat screen TVs, student activity centers with internet connection, industry-grade simulation laboratories, audio-visual room, kitchen facilities, cafeteria, and a covered multipurpose gymnasium among others. â€œIn our pursuit of academic excellence, we constantly upgrade our campuses and facilities to deliver our promise to make real life education accessible for the Filipino youth across the country,â€� said STI ESG President and COO Peter K. Fernandez. He noted that the soon-to-rise STI Academic Center is strategically positioned to accommodate the many potential students in the highly urbanized and densely populated city. Expected to be completed in June 2019, the STI Academic Center Legazpi can accommodate up to 4,000 senior high school and college students. It will offer in-demand courses and relevant programs in Information & Communications Technology, Business & Management, Hospitality Management, Tourism Management, Engineering, and Senior High School. For the last eight years, 11 new school facilities were constructed for existing wholly-owned schools. Starting April 2017, STI ESG began the construction of six more school buildings as part of its expansion program. These six soon-to-rise academic centers are located in Pasay-EDSA, Lipa, Tanauan, Sta. Mesa, San Jose del Monte in Bulacan, and Davao. 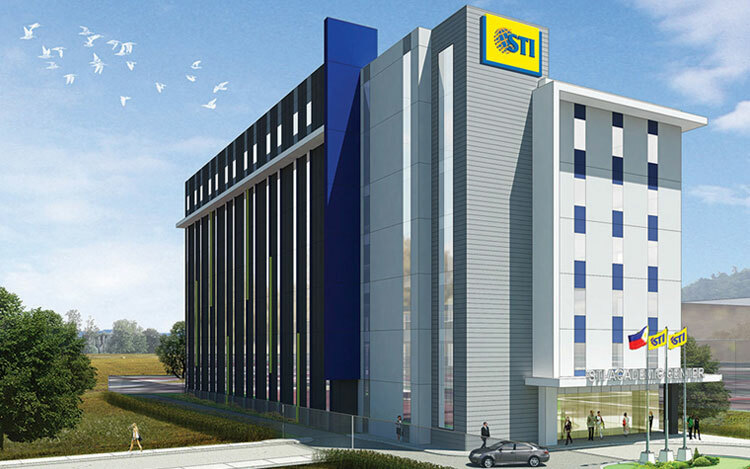 STI ESG decided to shift its focus to an organic expansion instead of a geographical expansion. â€œWe are not opening new campuses, instead we are building better school facilities for our existing schools so that they can continue to deliver quality education in improved spaces,â€� Fernandez explained. Despite its bullish expansion, STI ESG ensures that world-class education remains a standard across all campuses. STI ESG shifted to an outcome-based education curriculum (OBE) to prepare students and advance their competencies to be at par with the global community. STI ESG regularly conducts market studies to determine which programs are needed by the industry and the market. Consequently, existing programs are revised to keep up with the demands and standards of industries, as well as the changes in government regulatory requirements. â€œAs we continue to grow our reach and improve our campuses nationwide, we are also building stronger foundations in education. From the facilities, to the curriculum, and to the services we provide, we are committed to finding better ways to nurture our students to become competent and responsible members of society,â€� Fernandez concluded.